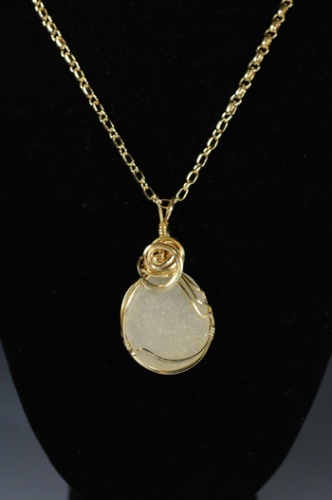 This piece of seaglass is so white and resembles puffy clouds on a dreamy day. Circles of gold filled curls hug the piece and make it look very elegant. Comes with a chain.